Being new to Nye County, I’m trying to get up to speed on all that its communities have to offer, including recreation. Horace Langford Jr./Pahrump Valley Times Softball players play under the new lighting system at Petrack Park. David Jacobs/Pahrump Valley Times A look toward one of the ball diamonds at Petrack Park in Pahrump where new lights shine on the ballfields in town. 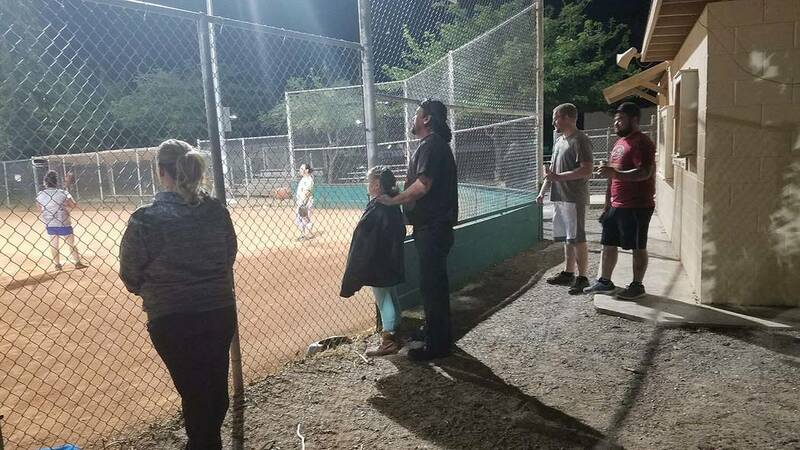 David Jacobs/Pahrump Valley Times People look out at a ballfield at Petrack Park in Pahrump where new lights are shining. Horace Langford Jr./Pahrump Valley Times Buildings and Grounds manager Matt Lewis discussing the new lighting system at Petrack Park last month. One of my stops included a recent visit to Petrack Park in Pahrump. 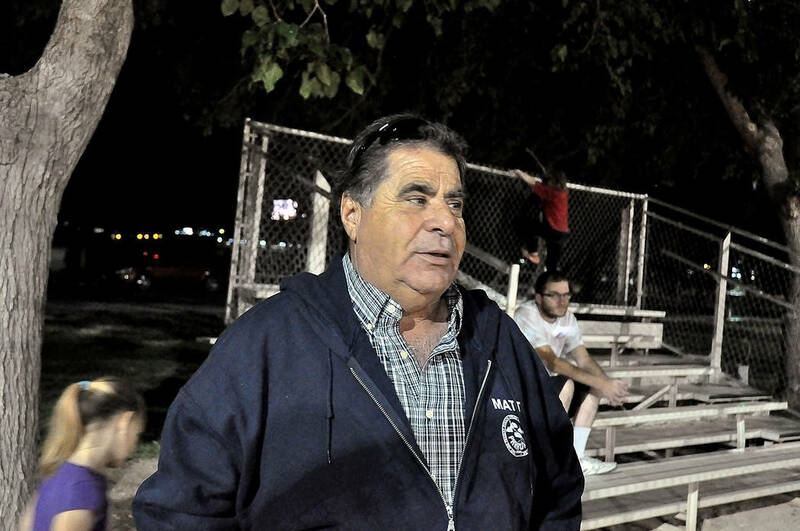 I read and edited an April story by Selwyn Harris in the Pahrump Valley Times about an official “park lighting” ceremony on a ball diamond, at the park at 150 North Highway 160. Selwyn’s opening sentence about Nye County officials heeding the “community’s request to let there be light at Petrack Park” caught my eye, along with an email from Nye County Public Information Officer Arnold Knightly asking me to stop by. On a nice spring night, I arrived at the park to see it brightly lit. Players were taking batting practice, fielding ground balls and snagging fly balls in the outfield. It made me want to get out there and play, but photos needed to be taken and interviews had to be done. “Five years ago, we did the soccer field over there with the same lighting system,” said Matt Luis, buildings and grounds manager for the Town of Pahrump. Industrial Light and Power, a local company, served as contractor for the project. The bid was $429,000 for the A and B fields at Petrack Park. Funds came out of the general fund with the project planned and budgeted in advance. “This has been on kind of the hot list for 10 years,” Luis said. Fields A and B were the focus of the lighting project. Field C was outfitted with modern lighting five years ago. “This was a necessity,” he said. “That field, Field B, was shut down since July for night play. 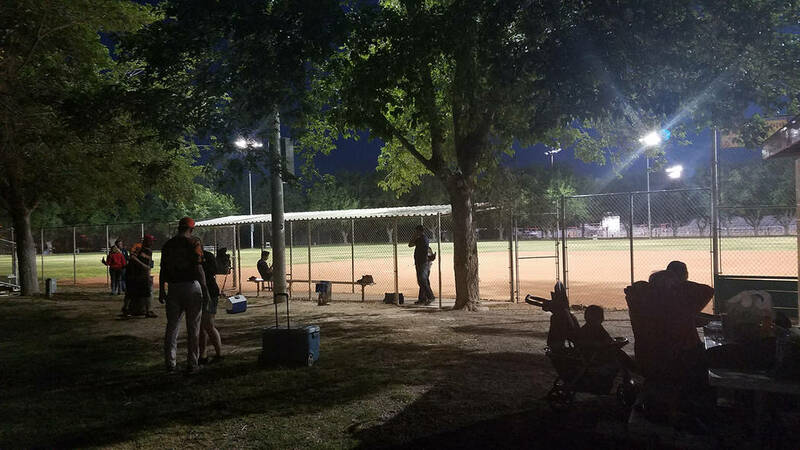 Really without night play, leagues really can’t use the fields,” Luis said, because many participants don’t get off work until at least 5 p.m. The latest project for the new lights started earlier this year. Luis described the high-tech nature of the lights in terms of monitoring their usage. Luis describes the system as providing more for less. “These lights here, even though there are twice the number of light fixtures, they are more energy-efficient than the old set of lights,” he said. As he spoke, Luis pointed to one field in front of him and what it will mean for young ballplayers. The fields are designed for softball, though they could be used for baseball. 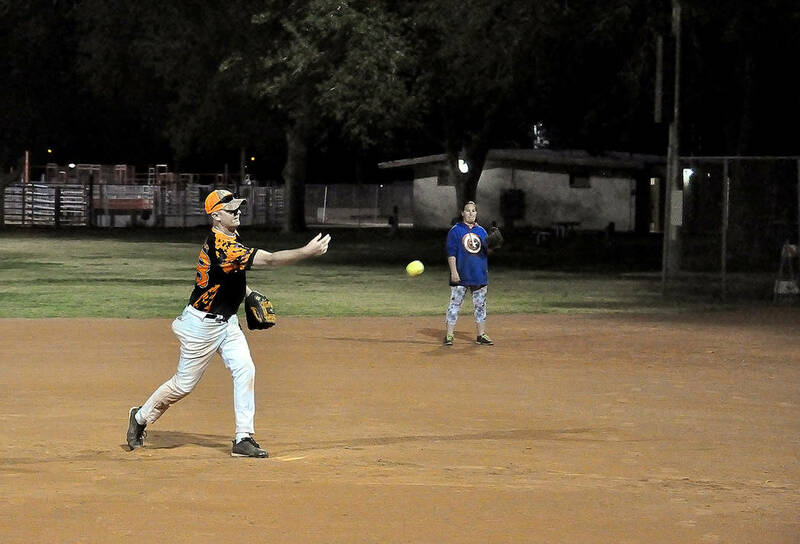 Diane Roberts, president of the Pahrump Valley Adult Softball League, said that the league fields between eight and 12 teams during a season. She praised Luis with the town. Brittany Neal, a Pahrump resident, described the importance of effective lighting. Neal and Roberts expect the benefits to extend beyond softball to the multiple special events held at Petrack Park.